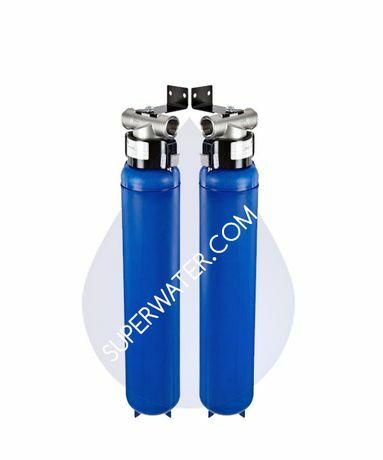 Superwater.com offers 100% FREE SHIPPING on all 3M Cuno Aqua Pure AP902/AP904 Whole House Water Filtration System orders. This New WHOLE HOUSE combination system is a true and complete whole house system with the latest technology. The AP902 works as a pre-filter, and the AP904 does everything else. This is hands down the best double Whole House system money can buy today! - 304 stainless steel head allows for �sweat in place� installation and is a corrosion resistant material. - 1� inlet and outlet connections for easy installation and high flow rates up to 20 gpm (75.7 lpm). - Tested and rated to 20 gpm (75.7 lpm) peak flow rate, meeting most residential and light commercial applications. - Sanitary Quick Change (SQC) design, an industry first for this application, allows for fast and easy cartridge change-outs without the need of a filter wrench. - Electronic countdown timer refrigerator magnet included in the installation kit to help remind the homeowner when cartridge change-out time is near. - Manufactured from FDA CFR-21 compliant materials. - 25 year limited warranty on stainless steel head. 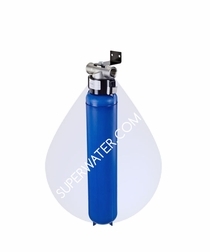 - The Aqua-Pure AP-904 # 5621104 System has been designed for heavy duty sediment reduction (5 micron nominal). - At 10 gpm average flow rate, this product performs to 75% efficiency over its rated capacity (100,000 gallons) based on manufacturers test protocol for chlo- rine taste and odor. 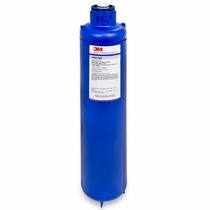 - The AP904 replacement cartridge (AP917HD-S) also includes a scale inhibition media to help reduce the potential build-up of hardness scale in water heaters, pipes and water using appliances.